Built with a powerful 62cc engine with a huge 2400W max output, this sturdy chainsaw is a must-have for any tradesman, commercial gardener or handyman. 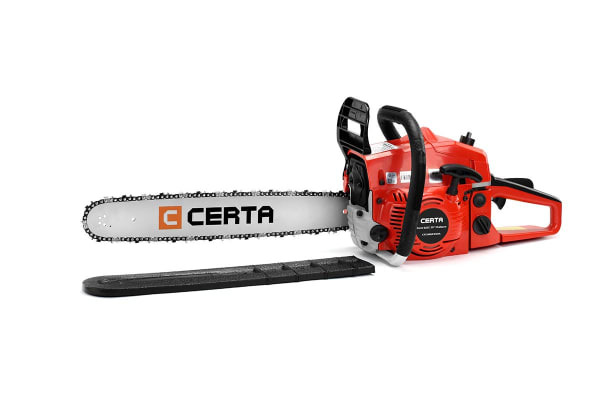 Jam packed with a features like a heavy-duty sprocket wheel and a perfect power to bar length ratio that doesn’t compromise on torque and cutting precision, the full throttle Certa 62cc 20” Chainsaw is the ideal commercial-grade companion for any arborist. 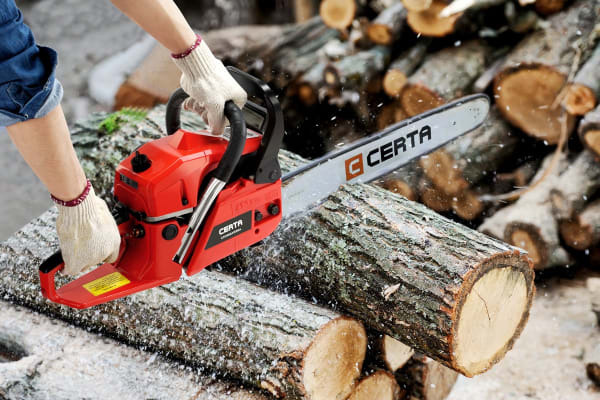 Built with an all position diaphragm carburetor, quick tension chain mechanism and auto-oiler that provides constant lubrication to the bar and chain when the saw is running, this chainsaw is an all-round workhorse, helping you to get the smoothest cut possible. 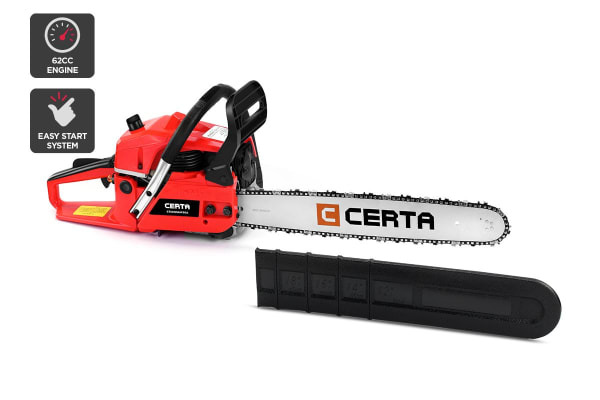 This chainsaw starts up easily with the E-start ignition and primer bulb, no yanking at the chain necessary – even when it’s cold outside. Get peace of mind with a lightning quick integrated chain brake that automatically stops the chain rotation when kickback or rapid movement occurs.